Yipee! It's Monday. Said no one ever. 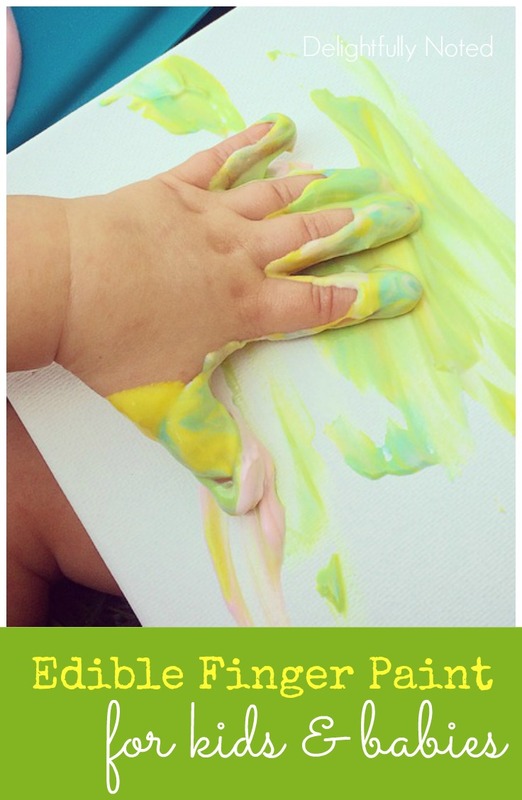 Tonight I wanted to drop in to share our quick and easy homemade edible paint recipe. Any given day you can find Baby B and I on a walk, tossing the ball, or down in the yard on his new swing set. Sometimes though mommy could really use a drink break from the play time monotony. This past Sunday was one of those days, so I decided to give finger painting a go. B's been doing art work at day care for some time now but we've never really done anything artsy at home yet. Probably because I always dread the inevitable mess that will follow! But that's part of being a kid, right? 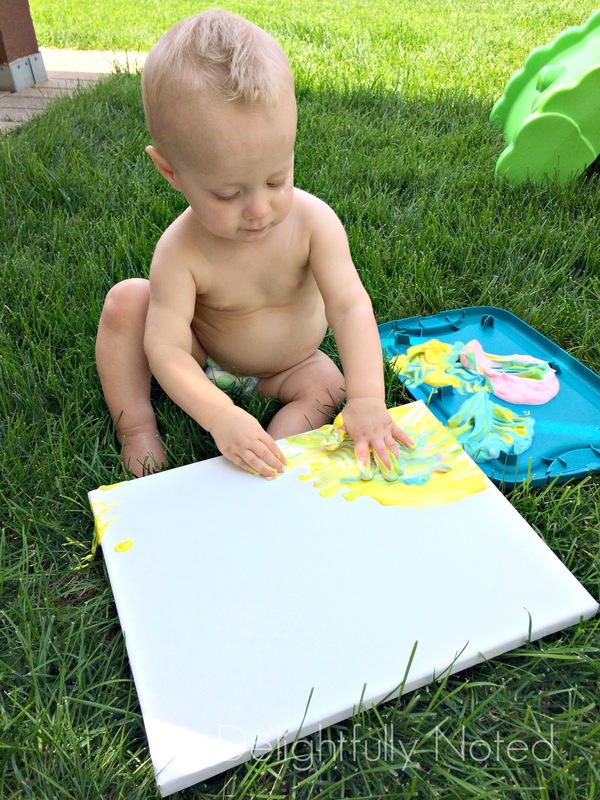 I know there's all kinds of edible paint recipes floating around on Pinterest but most of them call for corn starch. I couldn't find any corn starch hanging around which means either A) we don't have any or B) it's in one of the hundreds of boxes we still haven't unpacked. So I improvised and came up with this quick and easy two ingredient paint recipe. Directions: Simply stir two drops (or more depending on how intense you want your paint color to be) with a 1/2 a cup of yogurt. Do this for each color. I started off simple with just three colors; yellow, pink, and blue. I used a lid from a plastic organizer as our paint tray knowing that the yogurt would easily wash off later with just a spray of the hose. He really liked it for about ten minutes and then he got distracted by the garden hose. It happens to the best of us, right? And wouldn't you know it, NOT ONCE did he try to eat the paint. Go figure, any other time you can find the kid practically licking the siding off of our house!! Regardless, it was fun watching him be creative, plus it's a great sensory activity. Note: This edible paint recipe is simply for the pleasure of coloring. Remember the paint is food so it's not like you're going to want to hang Baby Picasso's creation on the wall, unless of course you like ants and mice hanging around.